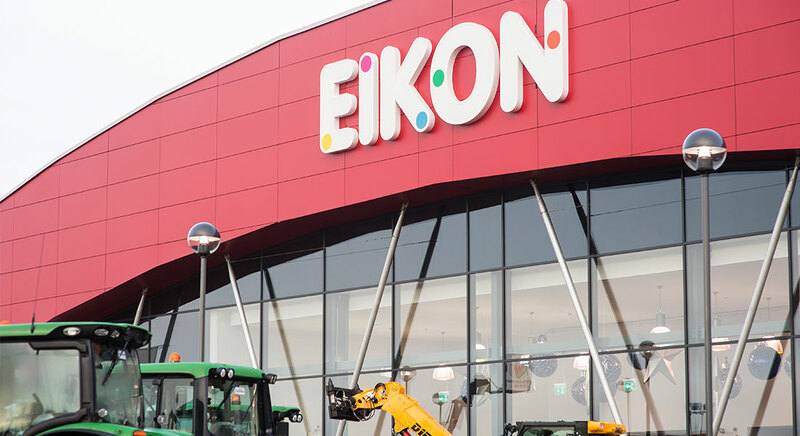 The 2019 Winter Fair will take place on Thursday 12th December at Eikon Exhibition Centre, Balmoral Park. Results from last year's event can be viewed here. 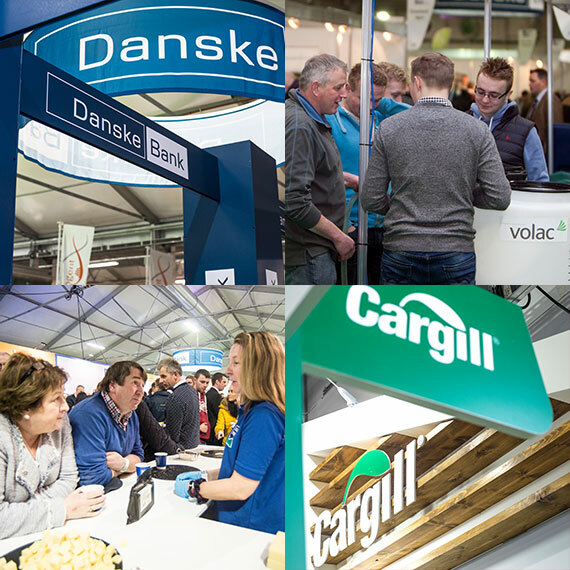 The Royal Ulster Winter Fair in association with sole sponsor Danske Bank is an established and highly successful event in the agricultural calendar. 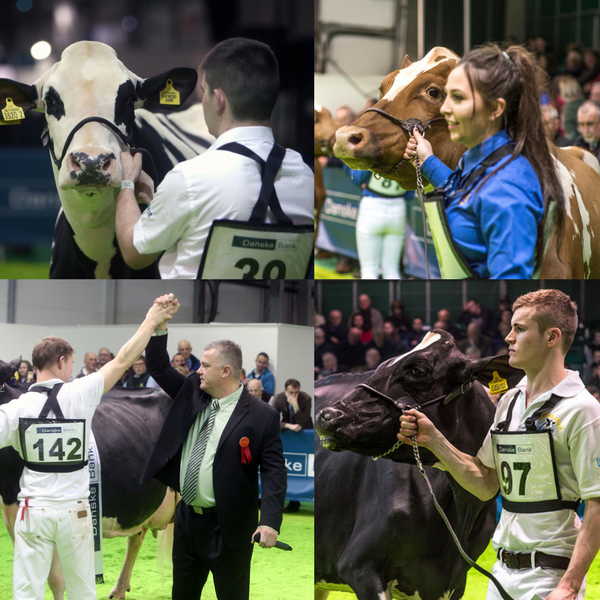 It is the meeting place for the dairy industry in Ireland, where top class cattle compete for the title of Supreme Champion and trade stands display innovation and industry advances. Visitors will see the highest quality of dairy cattle as well as finding out what the industry has to offer. The event also provides an excellent vehicle for exhibitors to market their products and services to the dairy farming industry. Apply for a highly sought-after trade stand at the Winter Fair by checking out our Trade Exhibitors section. If your application has been approved, you can download all the relevant forms for Electrics, Risk Assessments, Stand Fitting, Plumbing, Wi-Fi and more. 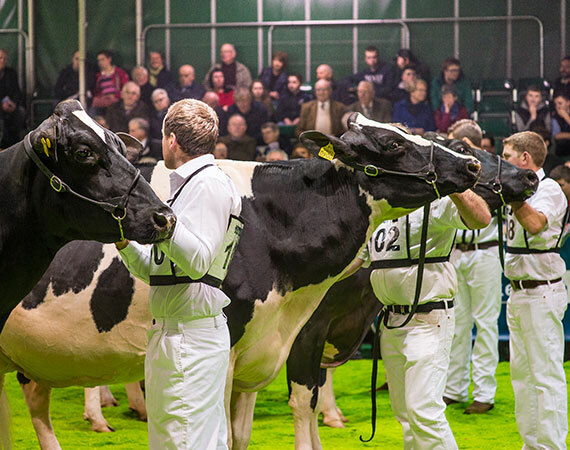 The event features showing classes for Holstein, Aryshire, Dairy Shorthorn and Jersey breeds. With accommodation for 200 cattle this is an event not to be missed. The Winter Fair is located at our venue, the Eikon Exhibition Centre, Northern Ireland’s largest and one of the U.K’s leading event venues. The venue is conveniently located beside the main arterial routes to Belfast and Dublin and has a diverse range of facilities on offer for your visit.